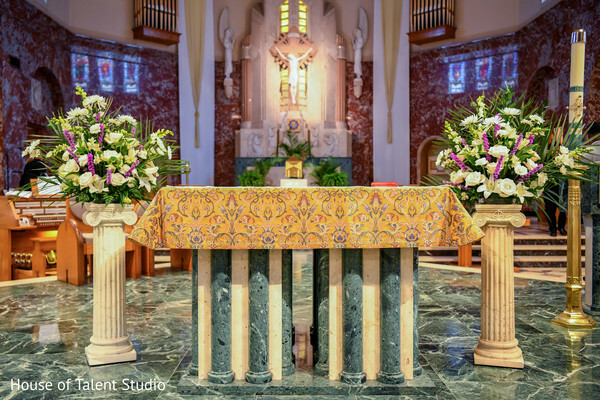 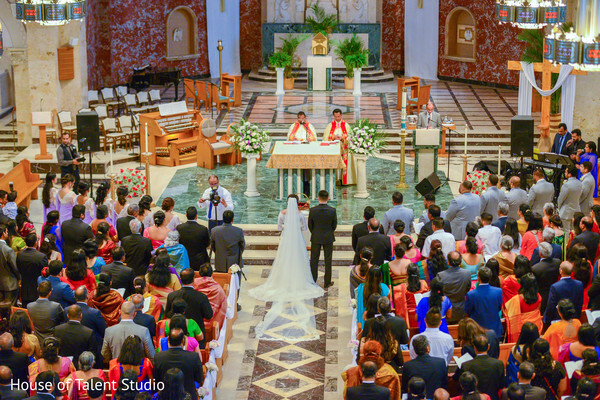 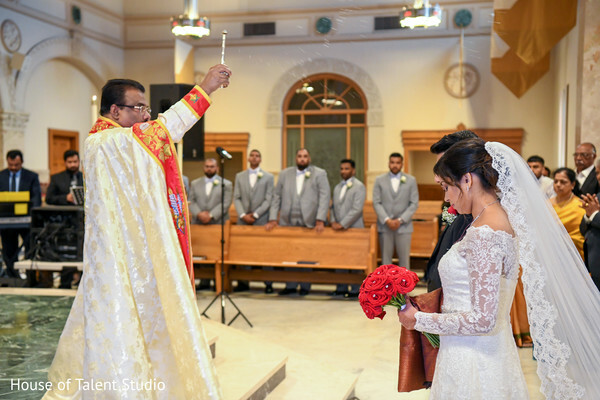 After a dreamy proposal, Jenny and Shawn exchanged vows at the beautiful St.Thomas The Apostle Catholic Church in a gorgeous Christian marriage ceremony in front of their big families! 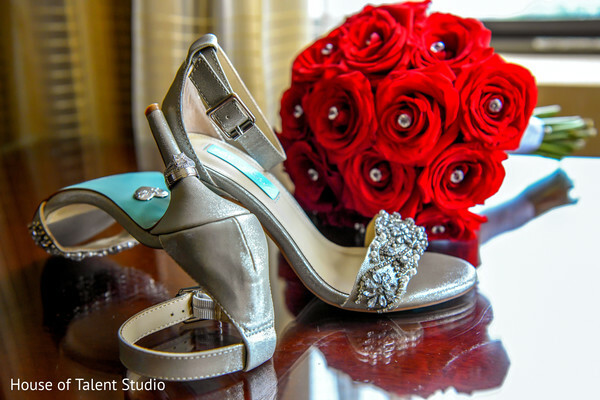 House of Talent Studio had the honor of chronicling the lovely celebrations. 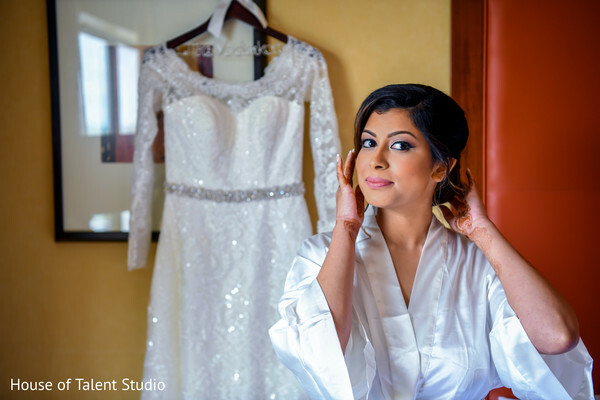 The renowned photographer captured beautiful Maharani Jenny being dolled up by the beauty expert Heena Das Beauty. 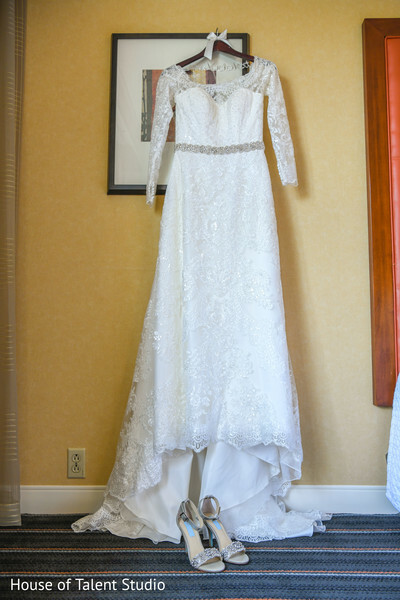 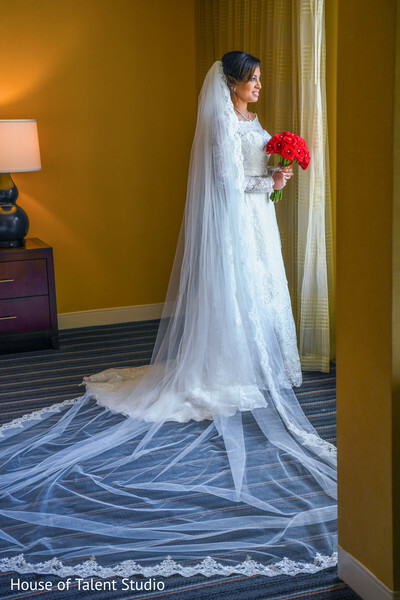 Her low bun hairstyle was embellished with a stunning cathedral length veil matching her floral lace white wedding gown. 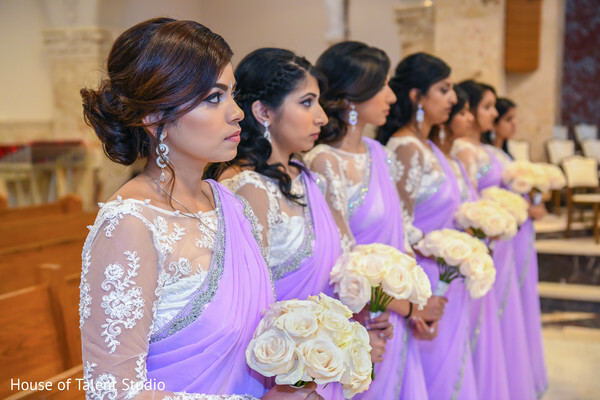 I absolutely adore the soft lavender sarees wore by the charming female entourage and the white roses bridal bouquets that perfectly went along with the sweet floral arrangements created for the ceremony by Pedestals Floral Decorators. 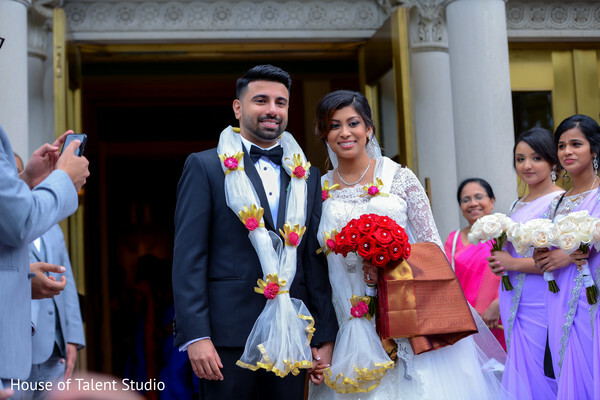 The lovebirds were declared husband and wife and a bubbly exit from the church waited for them along with tulle garlands which gave them the best traditional sendoff ever! 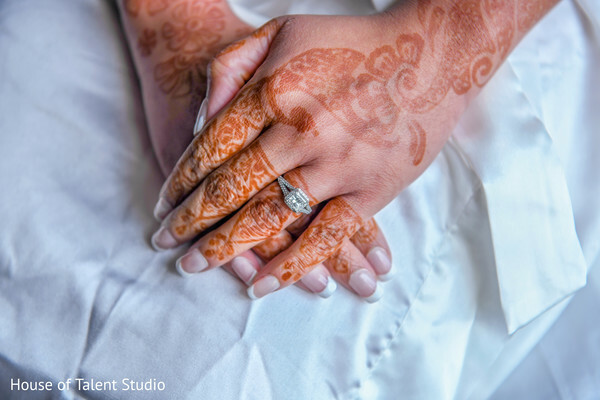 Peruse the incredibly graceful images caught by House of Talent Studio in our full gallery! 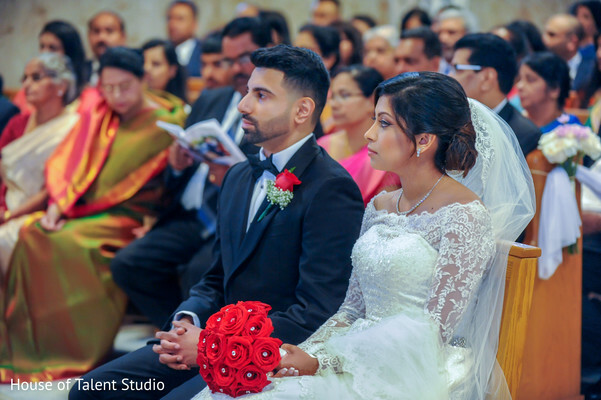 Now as husband and wife it was time for Jenny and Shawn to share their happiness in a big reception feature in our next post!